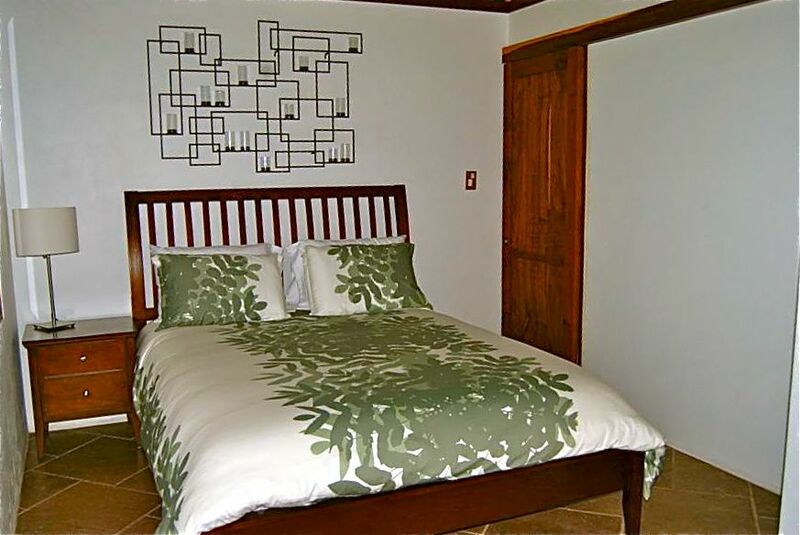 Casa Villa Mia is a charming intimate luxury two bedroom one bath guest house bungalow surrounded by Osa Peninsulas’ pristine rain forest near Cabo Matapalo. 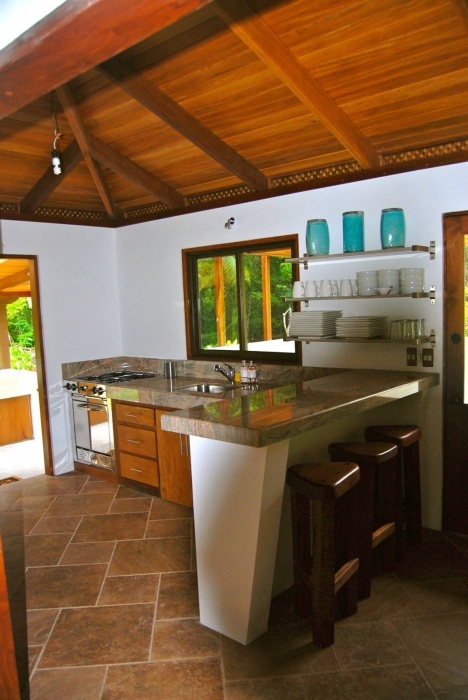 This home is tucked away on a beautiful piece of land with a manicured private garden away from other homes and the busy resorts of the surrounding area. 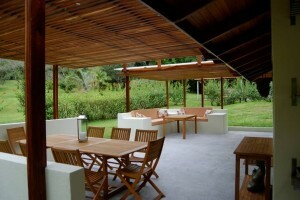 It is a very quiet and majestic tranquil space for those who seek time away from the norm. The Bungalow is tastefully decorated with all your needs in mind. The two bedrooms each have a queen size bed, ceiling fan, dimmable lights, an open closet with plenty of space to put your things and curtains to block out the daylight. A spacious bathroom with Travertine and tumbled glass mosaic tile haslots of natural light and overlooks a beautiful manicured garden. The hot rain shower is divided for your privacy with glass block, and the sink area has hot and cold running water and plenty of space for all your toiletries. 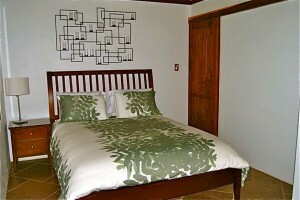 High quality linens and towels are provided. An open space fully equipped kitchen is provided with granite countertops, and a breakfast bar that seats three separating the kitchen from the dining area. Enjoy the professional stainless steel stove and oven, solar refrigerator, and stainless steel sink with hot and cold running water. The open concept dining room seats 6 comfortably. All furniture is made from precious Costa Rican hardwood which has fallen naturally on our property giving this dining room a warm and cozy feel. You will also have at your disposal a built-in mini bar and wine rack for those that enjoy making a nice cocktail at the end of the day. 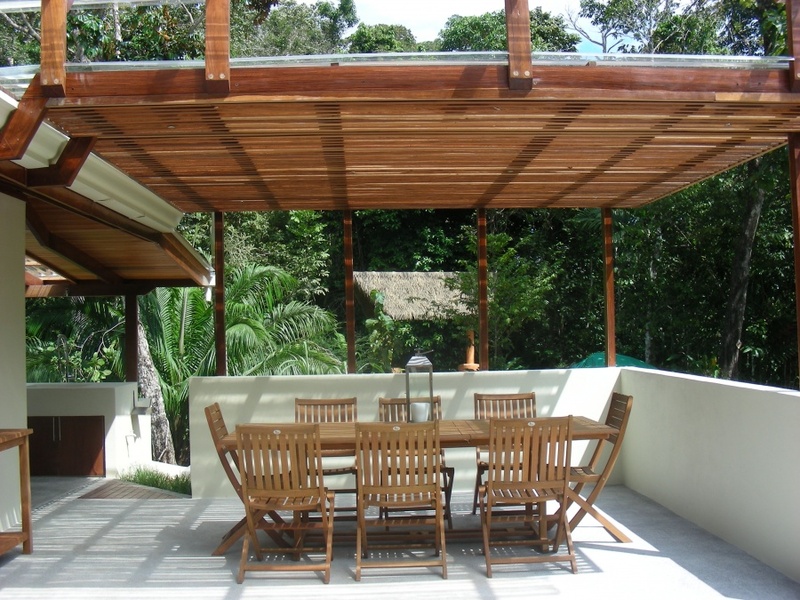 A uniquely crafted covered outdoor living space offers an ideal setting for an evening dinner or just for relaxation. The dining area has a long dining table and chairs that seat eight, built-in couches for your lounging pleasure, and an outdoor kitchen prep station with an oversized sink with hot and cold water. 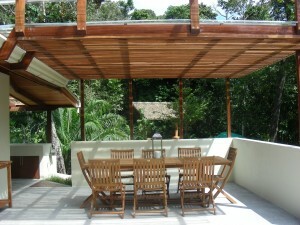 Villa Mia is located near Cabo Matapalo. 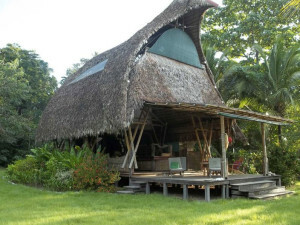 Power: All of the houses in the Matapalo area are eco-houses that use solar power. Usually houses have 12-volt solar power, so please be conservative with your use of energy. 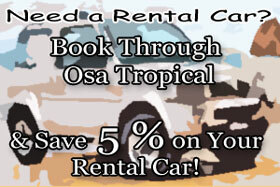 Please inquire for rates as they do vary for holidays and peak times. All rates include taxes & cleaning. 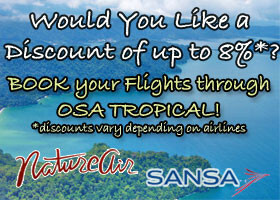 Osa Tropical can also make reservations for domestic flights, car rentals, and hotel stays, and we can arrange taxis to make your vacation a breeze! Recommendations: Please do not bring coffee makers, radios, stereos, hairdryers, and other appliances a typical 120-volt outlet will support. These appliances will drain all of the solar energy, leaving none for basic use. You may bring battery chargers for your video and still cameras. Unplug this appliance when finished charging. We recommend to turn off all lights, fans and other small appliances when not in direct use.